We live in a mobile, digital era where health information is at our fingertips. With the touch of a button, patients can see test results, track prescriptions, and sign up for clinical research. And yet it still takes over a decade to bring breakthrough treatments to market. Scientific productivity must improve: clinical trials are costly and time-consuming, and regulations mandate increased scrutiny and compliance. The patients who rely on your scientific leadership are expecting more. How are you meeting their needs? While intensive research and study are still a prerequisite for success, there is a better way to develop new products and therapies. 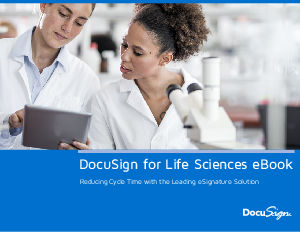 Download the eBook for best practices to drive digital adoption in life sciences.